Globally 16,404 groups or ethnicities of peoples have been identified as sharing a common language. Sadly, of these there still remain 6,649 groups without a Bible in their native language. Since 1810 it has been part of the Maryland Bible Society’s (MBS) commission to contribute to the fulfillment of Scriptural translations. Pastor Dale South of Long Green Baptist Church has been informed by one of his congregants, Will Sleeper, about extended family he and his wife, Irina have among the Digor, which is one of the groups without a Bible in their own language. Irina’s great grandmother and other extended family members are from the Digor region of Ossetia, Russia. Will, Irina and their three children decided to make the trip to this unknown foreign land and meet their distant family. The Digor region contains at least a dozen villages with a 99.98% Islamic population and is tucked into southwestern Russia near the Turkish border and the Northern Caucasus mountains. To date only .03% of these villages are non-muslim and only a part of that small number are Christian. The language spoken, Digor Ossetic, has Persian-median roots and the Digor people are descended from the barbarian Scythians mentioned in Colossians 3:11. Since the 17th century the dominate religion have been Sunni Islam. Needless to say their society is steeped in Islamic traditions and resistant to learning about Jesus. The obstacles to their conversion are great making their path to Jesus’ grace arduous. Many of these native people suffer from additions, alcoholism and view Christianity as something for ‘others’. Yet when they hear The Word in their own language their hearts open. The missionaries in the Digor region who have worked on the translations have found they are eager to read the Word of God. To date the Gospel of John, Psalms, Proverbs and 9 chapters of Genesis are ready to go to print. The Gospel of Matthew is partially completed. Please pray as a new translation team is now being assembled to complete this work. This is when MBS steps in to make a difference. We are one of the ministries contributing to the publishing costs of these Bible portions. Please continue to pray and provide for the Maryland Bible Society as it contributes to the funding of projects such as this. 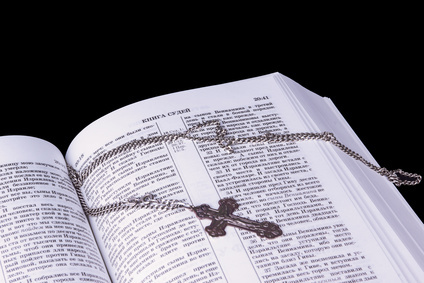 If you wish to designate a one time or monthly donations to one of MBS’s projects, indicate your selected projects: Bibles for public schools, Bibles for foreign missions, Bibles and Biblical study books for the Elderly, the Incarcerated, and the many secular and Christian workers who have never viewed their daily work through the eyes of Christ. We are grateful to Will and Irina for bringing the Digor Bible to our attention. 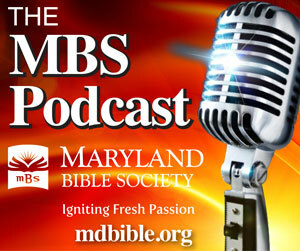 It is another way MBS helps ignite fresh passion for God’s Word, another way to help people learn and live the Gospel. 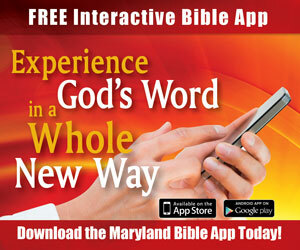 If you have any questions about our ministry, please contact cjohnson@mdbible.org or 410-685-4040. For over 200 years, the mission of the Maryland Bible Society (MBS) has been to see that every individual has an opportunity to own a Bible regardless of their native language or financial situation. Here in Maryland this mission has been mostly fulfilled. We now are turning our emphasis to encouraging and helping people read, understand and live out the truths and principles God has given us through His Holy Scriptures. As a non-denominational ministry, MBS is uniquely positioned to offer God’s Word without note or comment to Christians from all denominational backgrounds. This position allows us to work with all local Christian churches, serving and assisting them as they follow God’s lead. MBS has and will continue to establish and build partnerships that promote the distribution of the Bible, supply related sources and provide educational opportunities. Our vision is to ignite fresh passion for God’s Word to be lived out in the daily lives of people in Maryland and the world beyond. God’s Word contains truths that speak to all of the important areas of our lives: family, marriage, work, friendships, finances and parenting. It serves as the ‘road map’ for the often-overwhelming experience of life. It is a comfort, an encouragement, a teacher. It is convicting, edifying and inspiring. The Bible reveals our purpose in life. 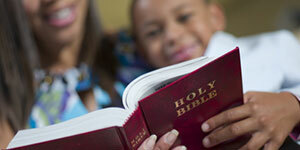 The Creator of the Universe has given us His Word to guide and direct us as we serve Him and live in the world.